References and documents from past events. Join us as we celebrate the 2018 Lone Star NGV Awards with a traveling NGV Road Rally. 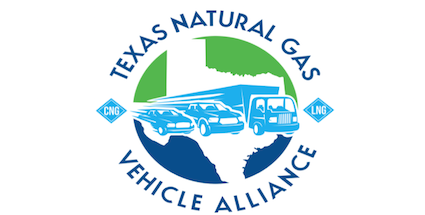 Dan Gage, NGV America, will give us an update on NGV America, the national trade association for natural gas vehicles. In addition, Luke Cruff, EControls, will provide an overview on their company and products. EControls creates state-of-the-art engine applications by utilizing calibration development and testing to meet emissions, drivability and fuel economy requirements. Please join us for our bi-monthly member meeting on October 12, from 11:00 am to 1:00 pm at Centerpoint Energy, located on 4500 South Shaver, Building D, Houston, TX 77034. This month's speakers will be Barry Rowton, Cenergy Solutions, and Paul Shaffer, Landi Renzo USA. Barry will give an update on Cenergy's CNG adsorption system while Paul will present the 2018 Landi Renzo vehicle line up. Rob Underhill, Founder and President of Simple-Fill, will be our speaker. Armed with a better compressor, Simple-Fill is attacking the market by taking the complexity out of the natural gas conversion process. Simple-Fill's compressor differs from conventional reciprocating piston compressors as it utilizes a liquid to compress, cool and dehydrate natural gas. The result: a compressor that approaches isothermal conditions (higher efficiency) and eliminates the costly, conventional upstream dehydration system. Simple-Fill's initial compressor design will compress about 4 GGE/hr., which is ideal for small to medium size fleets. Lunch Meeting - Southwestern Energy. 10000 Energy Drive, Spring, TX 77389 - From 11 am to 1 pm. Please join us for our final meeting of 2016. Eddie Murray, Freedom CNG, will provide a recap of the year. Paul Osbourn, Westport, will give an overview on their 2017 lineup. Jenna Van Harpen, Bluebird, will discuss their new 2017 conventional CNG school bus. Plus, learn about the 2017 natural gas legislative initiatives from Stuart Mayper and Bob Baldwin, CNG-4-America. Lunch Meeting - Houston Food Bank, 535 Portwall Street, Houston, Texas 77029, from 11 am to 1 pm. April Richardson, Railroad Commission, will be giving an update on the CNG/LNG rule changes. Representative Jason Isaac, Texas Natural Gas Foundation, will be giving an update on the upcoming legislative session and TERP. Lynn Lyon, SWS Environmental Services, will preview her natural gas study. Norman Herrera, Sparq Natural Gas, will be discussing their new CNG station.